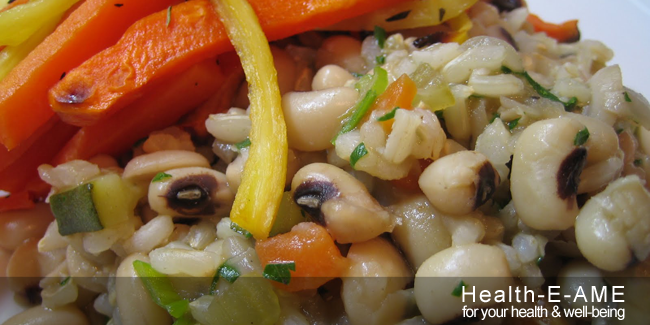 Greetings and Welcome to the Health-E-AME! Welcome to Health-E-AME where the goal is to increase your overall health (spiritual, physical and mental) and well-being! Health-E-AME was developed as a partnership between the church and university community. It built upon the African Methodist Episcopal Church’s (AMEC) rich history of championing initiatives to decrease health disparities, as well as its health mission of improving the health and well-being of the congregations and communities it serves. 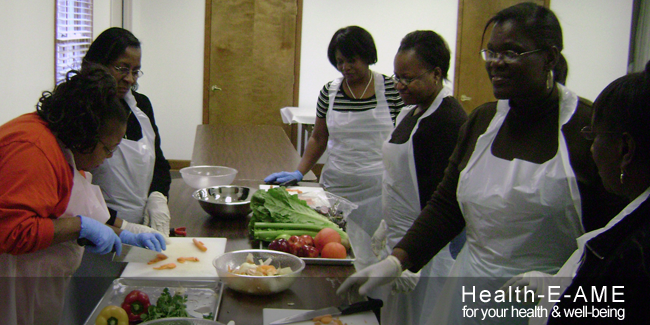 Through this partnership, we have developed programs such as Faith, Activity, and Nutrition (FAN) and Physical-E-Fit to increase physical activity and healthy eating throughout African Methodist Episcopal (AME) churches. 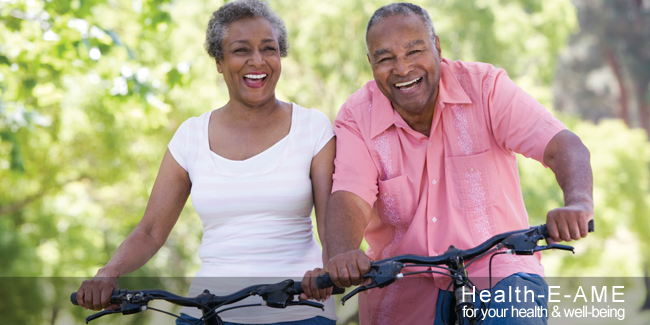 Health-E-AME addresses health from a holistic perspective and encourages members to not only make healthier lifestyle choices, but to also create environments that support healthy behaviors -- at home, church, and in the broader community. 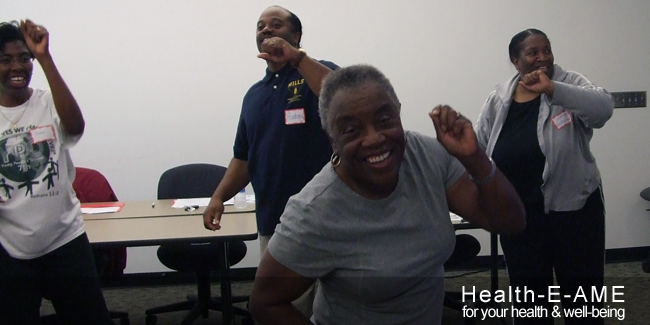 This website provides useful information and training tools designed to assist churches, as well as community members, in developing activities and practices to increase healthy behaviors. 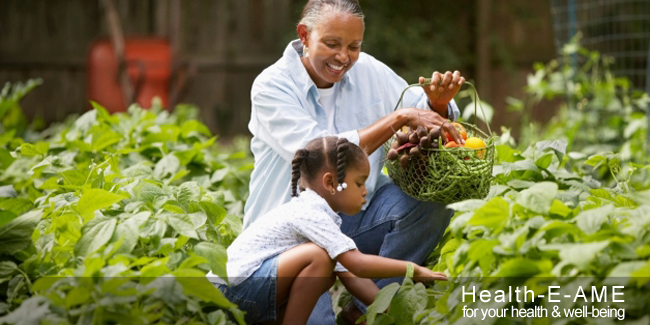 Everyone has a role to play in ensuring a healthy lifestyle for all. You are warmly encouraged to join in this call to action to create supportive environments that enable all community members to have healthy minds, healthy bodies and healthy spirits! Results of the Faith, Activity, and Nutrition (FAN) program have been published! To view a brief podcast video that highlights the program and findings, and to see the full article, please go to: http://www.scivee.tv/journalnode/56520. Reverend Taylor, Pastor of Turner Memorial AMEC (West Columbia, SC), leads the way in promoting health at his church. Reverend Taylor, along with members of Turner Memorial's health ministry, helps AME members live healthier lives, in mind, body, and spirit. Click the arrow below to start a brief video and learn more about Reverend Taylor and how he and his church have put FAN into place.